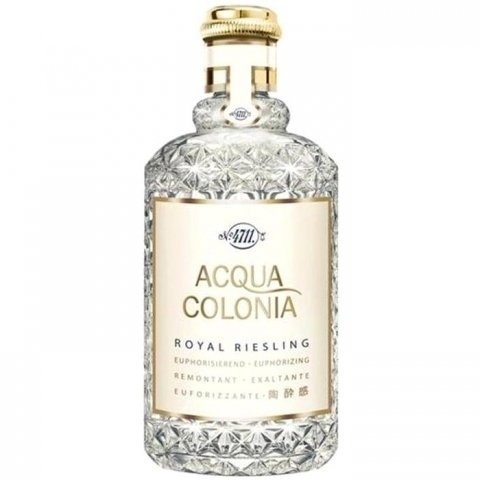 Acqua Colonia Royal Riesling is a perfume by 4711 for women and men and was released in 2009. The scent is fresh-fruity. It is still in production. Would you prefer Riesling in a glass or a bottle? Yes, I'm not averse to enjoying wine! But it doesn't have to be an expensive drop for me, the usual supermarket wines in the price range of 5-10€ are generally enough for me - on special occasions it can be something more noble. Among the white grape varieties, Riesling is my favourite after Gewürztraminer, followed by Sauvignon blanc, Grünem Veltliner and Chardonnay. Aroma and fragrance are also important to me when it comes to wine! Silvaner is therefore often a little too pale for me. With Riesling I appreciate the typical bouquet of yellow fruits. Here it may also be a glass of Spätlese as an exception, as the typical acidity of the variety counteracts the sweetness. 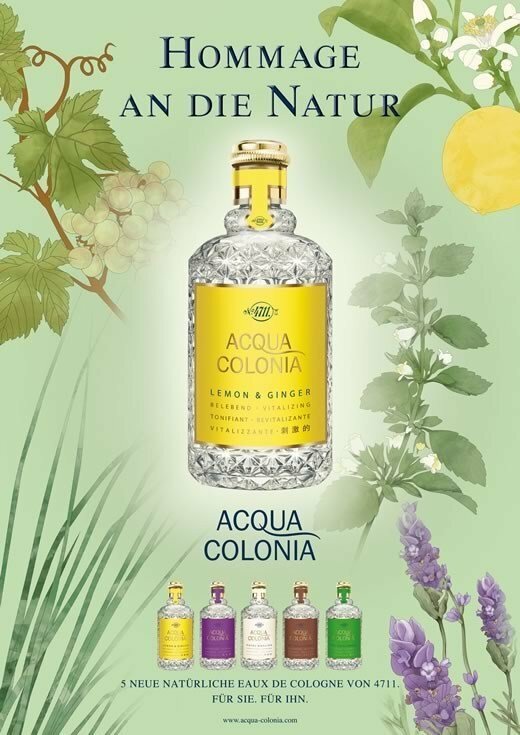 Can a perfume really meet the high expectations that a fragrance of Riesling arouses? I'm a fan of the modern Cologne series of 4711. Unfortunately, this EDC can't do it from my point of view. 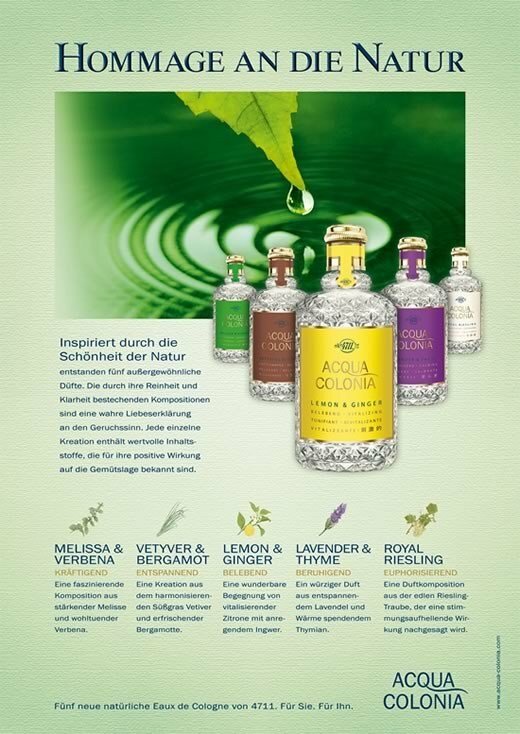 At first I feel strongly reminded of the classic 4711 EDC, but "Royal Riesling" is a bit harsher, because the typical neroline note is missing of course. Soon the astringency continues to increase and seems quite woody, while I miss fruity notes. Overall I find the fragrance rather masculine. I would never get the idea to deal with a white wine aroma if I didn't know the name. In itself, RR is not a bad EDC, quite refreshing at the current high temperatures. But it disappoints my expectations. Therefore only 7,0 of me, although I will still use it gladly - just as refreshment with heat. Riesling therefore rather in the wine glass! 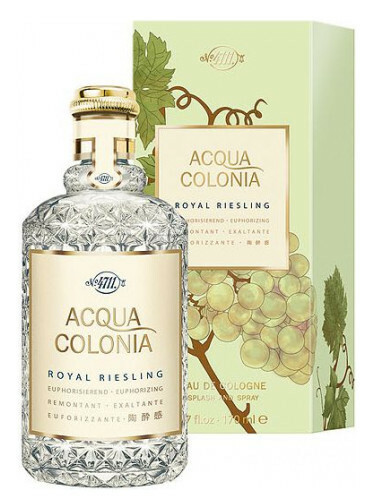 Write the first Review for Acqua Colonia Royal Riesling!